by Peter Mayle | Travel | This book has not been rated. I took this book with me from the book exchange counter in the restuarant at Utrecht Central Station, assuming it was left there by someone who wanted it to be read. I did just that, and registered it with Bookcrossing. 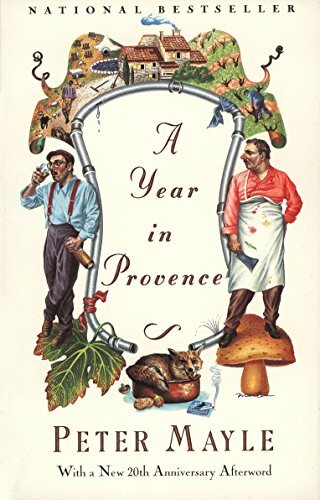 It was a pleasant enough read, about the transfer to another country and the getting along with the locals, enjoying the weather, the countryside and the food of the Provence. The story leaves me only with one big question: how can they afford this way of living, let alone all the construction work?